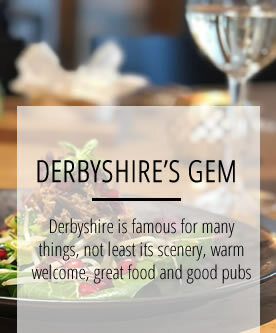 The Gate Inn is a family friendly pub and restaurant situated in the heart of the picturesque village of Tansley. This well-loved, popular, free house has undergone an extensive renovation, inside and out, bringing it back to its former glory as the central pub of the village. THIS QUINTESSENTIAL ENGLISH PUB IS STAFF BY FRIENDLY, ATTENTIVE AND KNOWLEDGABLE STAFF WHO TRULY MADE US ALL FEEL SO WELCOME. WITH A WIDE RANGE OF TEMPTING BEERS – MANY FROM LOCAL BREWERIES – SIT, RELAX AND SAMPLE THE DELIGHTS OF A ‘PROPER PUB’. WE HAPPENED ON THIS VILLAGE PUB WHILST STAYING AT A LOCAL B&B AND WE WERE PLEASANTLY SURPRISED. FEELS LIKE WE’VE BEEN HERE DOZENS OF TIME BEFORE. VERY WELCOMING, A SOPHISTICATED SELECTION OF WINES AND BEERS AND THE FOOD IS OUTSTANDING. WE MIGHT COME BACK TOMORROW! & locally brewed beer. Dogs are welcome! Whether you want a bite to eat or to share the gate in tansley experience with family and friends, we have got something for you. With our two outside seating areas for everyone to enjoy, a play area, boules pitches. 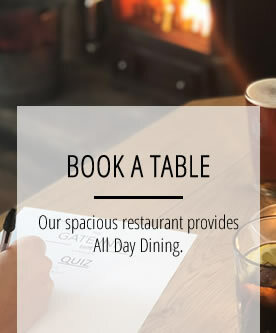 Food served 12.00 pm until 8.45 pm Monday to Saturday and 12.00 pm until 7.45 pm on Sunday. 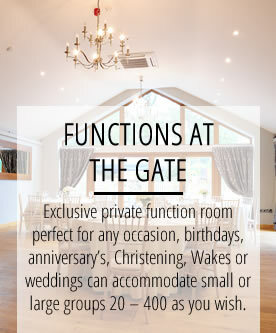 We recommend booking in advance to your visit, especially for large parties and during peak times. We welcome both dogs and children into the pub with pleasure.